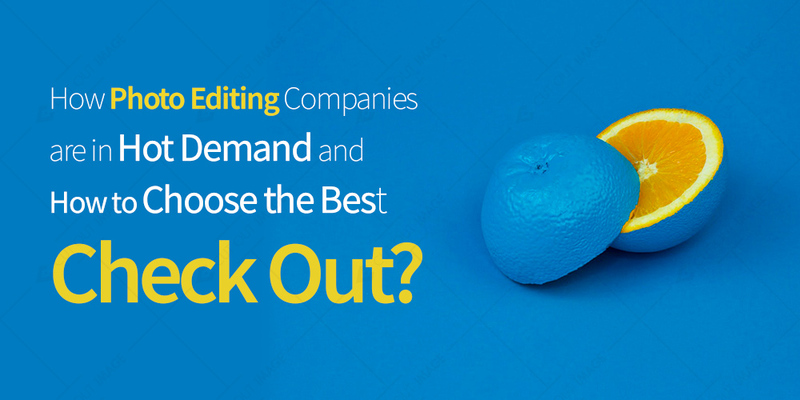 How Photo Editing Companies Are in Hot Demand and How to Choose the Best – Check Out? Businesses are in real need of beautiful pictures to promote their online presence across the globe. For various uses, photos are required i.e. ecommerce stores, retail companies, photography, printing press, educational organizations, media houses, catalogue companies, and advertising agencies etc. All these businesses require stunning photos because of the increasing trends of digitalization. With people knowing a lot more about the promotion of online ventures, it is not at all an easy thing to market your brand on a large scale without nice images. Photo editing has gone quite up given its outstanding benefits to the business. Because good image editing is done with the help of experts and software applications, it needs your time and money as well. Without both of these, you cannot really expect great results. As the editing expert doesn’t exactly know what to do with the given picture, you have to tell him your requirements. Therefore, without your involvement, even the other person cannot give the best. When there are lot of images to edit, your time is the first thing that the editor needs. With your instructions, he can work the way you want and the results are – JUST PERFECT. How Outsourcing Photo Editing Proves Beneficial? Before outsourcing the work, do proper research about the top companies. Type on Google and find out the reputation, goodwill and credibility of the companies you wish to hire for the photo editing work. Write down good and bad points in the sheet and once you are done with all the research part, it is the time to choose the best company from among the list. Whatever requirements you have, match them with the company’s area of expertise and there you go! It is always important to read what other people think about the company. Because the customers decide whether or not the company is good in its services, you should definitely read the testimonials before hiring anyone. In terms of delivery, quality and authenticity, customer feedback is quite crucial. The reputed companies do offer free trial work of 2 or 3 images to help the customers assess their skills. Therefore, to check the worth of any company, you should ask for little trial work. It will help you in making a fair decision about that particular company. Ecommerce companies are in huge demand of photos and the ideal photo editing company should pledge to deliver the work on time. Retouching takes time so if the volume of work is much more, give enough time to the editors and make sure their turnaround time is promising. During peak sales period, bad turnaround time can really push down the sales resulting in huge losses. Always check the mode of payment of the photo editing company to make timely payments. A company that has an hourly mode of payment should be preferred as you can keep a track of the ongoing work and suggest changes, if needed. An ideal company also offers pricing packages to suit different customers, so pick the one that best suits your budget and requirements. Make sure the company is authentic to keep the images secure. Since the images are for personal use, sending them to a non-reliable company can prove to be disadvantageous. Check whether the photo editing company has a secure FTP to upload the images for editing. With all these tips and tricks, you can find the best photo editing company with a lot of expertise and professionalism. Avail the skilled image retouching and editing services to take your business to a whole new dimension.